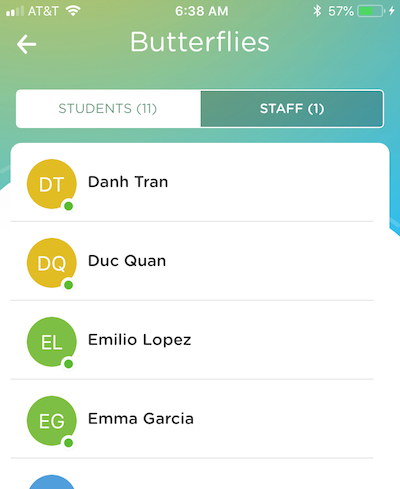 Administrators of childcare programs often need to keep an eye on exactly how many students and staff are in each room to keep track of ratios and as a general way of knowing that everyone is where they should be. 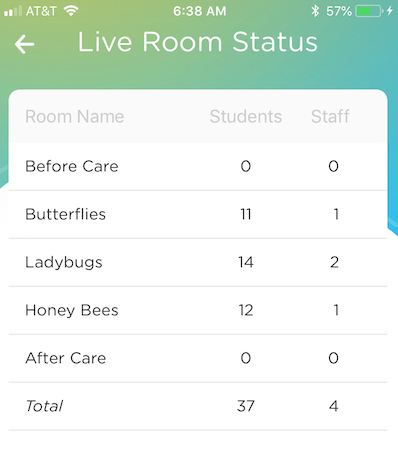 While we have a Student-Staff ratio chart available on our website for an overall view of ratio numbers, the app also has a handy Live Room Status tool that can be used more specifically to see where everyone is. There are two ways to access the Live Room Status screen. 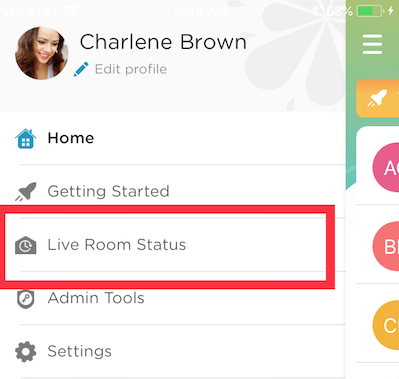 Use the menu to click directly on "Live Room Status." 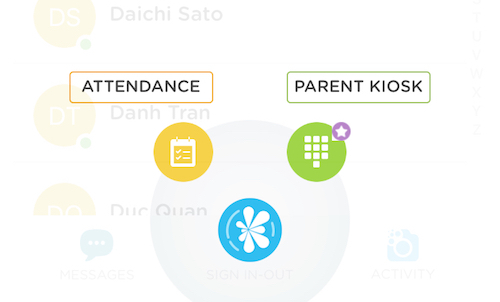 Click on the Sign In-Out button from the Home screen and select "Attendance." From there, click on the Live Status icon in the upper right. After selecting either option 1 or 2, you will be able to see the Live Room Status screen. 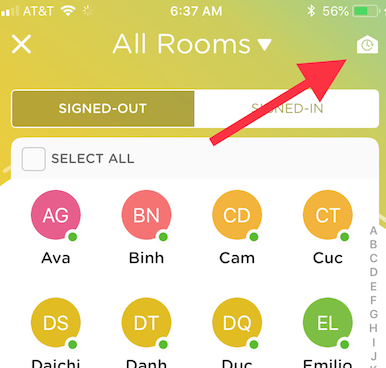 If you need more information about which children or which staff members are in a specific room, you can click on the room's name.